For some months I’ve been collecting bits and pieces. Mostly I have nothing much to add, but they shouldn’t be lost. Note the link on this page where you can download a PDF of what appears to be the entire Codex Boernerianus. It is beautiful. And so you can. It’s at the SLUB in Dresden here, where it has the shelfmark A.145.b. It also contains Sedulius Scottus, I gather. Nice to see the interlinear, isn’t it? A correspondent advised me that the Codex Trecensis of the works of Tertullian has appeared online in scanned microfilm form at the IRHT. Rubbish quality, but far better than nothing. The ms is here. De Resurrectione Carnis begins on 157r and ends on 194r. De Baptismo begins on folio 194r and ends on 200v. De Paenitentia begins on folio 200v. Saints lives = Christian novels? A review at BMCR by Elisabeth Schiffer of Stratis Papaioannou, Christian Novels from the ‘Menologion’ of Symeon Metaphrastes. Dumbarton Oaks medieval library, 45. Harvard University Press, 2017, caught my eye. This contains 6 lives from Metaphrastes collection. Even though hagiographical texts are among the most frequently translated Byzantine sources, little effort has been made so far to translate parts of Symeon Metaphrastes’ Menologion. This is primarily due to the generally unfortunate editorial situation of these texts: They are transmitted relatively standardized, but in a vast number of liturgical manuscripts. In addition to summarizing the status of research on Symeon’s rewriting enterprise, Papaioannou explains in his introduction why he calls the texts in focus “Christian novels.” It is not unproblematic to apply this modern term, as he himself states, but he decided to do so because of the fictionality of these narratives and because of their resemblances to the late antique Greek novel. When saying this, it is important to emphasize—as Papaioannou explicitly does—that these texts of novelistic character were not understood as such by their audience. On the contrary, the Byzantines regarded these texts as relating true stories, written for edification and liturgical purposes (see pp. xiv-xviii). It’s an interesting review of a neglected area of scholarship where the tools for research – editions and translations – are not available. Annette Y Reed broke the story on Twitter: it’s J. Geffcken, Die Oracula Sibyllina, Leipzig: Hinrichs, 1902, which has turned up at Archive.org here. A useful transcription, rather than the original book, is also online here. 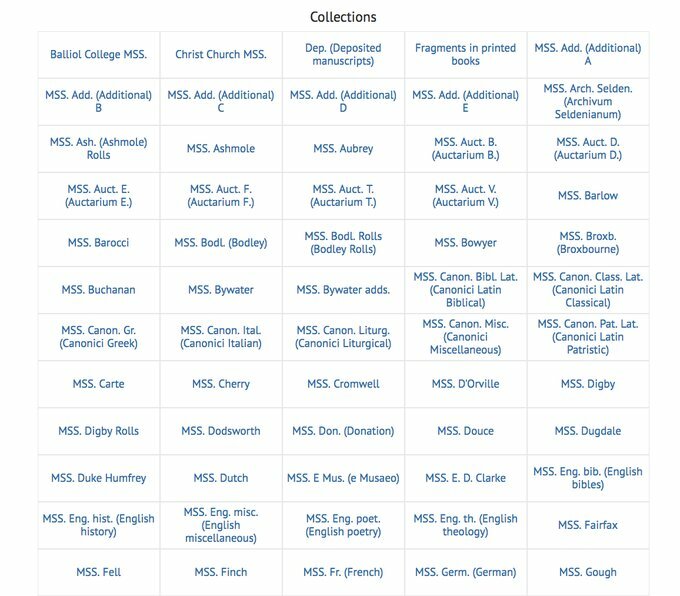 This is awesome – medieval.bodleian.ox.ac.uk “This catalogue provides descriptions of all known Western medieval manuscripts in the Bodleian Library, and of medieval manuscripts in selected Oxford colleges (currently Christ Church).” Sharing ICYMI too. It also has direct links to the pinakes.irht.cnrs.fr for Greek mss! Where did the Byzantine text of the New Testament come from? Peter Gurry at the ETC blog asks the question, and suggests that Westcott and Hort are no longer the authorities to consult. Everyone seems to want to tell Christians that they are obligated to give in. There’s always some IPA-loving hipster who writes video game reviews when he’s not sobbing alone in the dark because no one loves him tweeting “Oh, that’s real Christian!” whenever a conservative fights back. I know that when I need theological clarification, I seek out the militant atheist who thinks Christ was a socialist and believes that the Golden Rule is that Christians are never allowed to never offend anyone. It’s a good article, and sadly necessary in these horribly politicised times. It’s worth remembering that, were times different, rightists would most certainly adopt the same lofty lecturing tone. “If I fail to show concern for the sheep that strays, the sheep who are strong will think it’s nothing but a joke to stray and to become lost. I do desire outward gains–but I’m more concerned with inward losses” (Augustine of Hippo). It’s from Sermon 46 by Augustine–the entire message is an outstanding exposition of what it means to be a shepherd of God’s people…. I translated the above from this. Here’s a good English translation as well. I knew it. It’s alive!!! That said, the VSA [Vatican Secret Archives] isn’t much use to modern scholars, because it’s so inaccessible. Of those 53 miles, just a few millimeters’ worth of pages have been scanned and made available online. Even fewer pages have been transcribed into computer text and made searchable. If you want to peruse anything else, you have to apply for special access, schlep all the way to Rome, and go through every page by hand. But a new project could change all that. Known as In Codice Ratio, it uses a combination of artificial intelligence and optical-character-recognition (OCR) software to scour these neglected texts and make their transcripts available for the very first time. They’ve found a way around the limitations of OCR by using stroke recognition instead of letter recognition. They open-sourced the manpower by getting students (who didn’t know Latin) to input sample data, and started getting results. All early days, but … just imagine if we could really read the contents of our archives! The Central Asian nation of Kazakhstan is changing its alphabet from Cyrillic script to the Latin-based style favored by the West. The change, announced on a blustery Tuesday morning in mid-February, was small but significant — and it elicited a big response. The government signed off on a new alphabet, based on a Latin script instead of Kazakhstan’s current use of Cyrillic, in October. But it has faced vocal criticism from the population — a rare occurrence in this nominally democratic country ruled by Nazarbayev’s iron fist for almost three decades. In this first version of the new alphabet, apostrophes were used to depict sounds specific to the Kazakh tongue, prompting critics to call it “ugly.” The second variation, which Kaipiyev liked better, makes use of acute accents above the extra letters. So, for example, the Republic of Kazakhstan, which would in the first version have been Qazaqstan Respy’bli’kasy, is now Qazaqstan Respyblikasy, removing the apostrophes. The article at SlashDot instinctively opposed a change, which can only benefit every single Kazakhstani, by making a world of literature accessible. Ataturk did the same, and for the same reason. While working on a recent story about hate speech spread by telephone in the ’60s and ’70s, I came across an interesting book that had been digitized by Google Books. Unfortunately, while it was a transcript of a Congressional hearing, and therefore should be in the public domain and not subject to copyright, it wasn’t fully accessible through Google’s archive…. But, as it turns out, Google provides a form where anyone can ask that a book scanned as part of Google Books be reviewed to determine if it’s in the public domain. And, despite internet companies sometimes earning a mediocre-at-best reputation for responding to user inquiries about free services, I’m happy to report that Google let me know within a week after filling out the form that the book would now be available for reading and download. What does it mean to speak of an authorial/original/initial form of a Scriptural writing when faced with tremendous complexity in the actual data itself? Back at ETC blog, Peter Gurry discusses this with Greg Lanier here. Some of the difficulty, one senses, is because the interaction of the divine with an imperfect world is always inherently beyond our ability to understand. It requires revelation, which is not supplied in this case. And with that, I think I’ve dealt with a bunch of interesting stories which didn’t deserve a separate post. Onward! All very interesting – thanks! 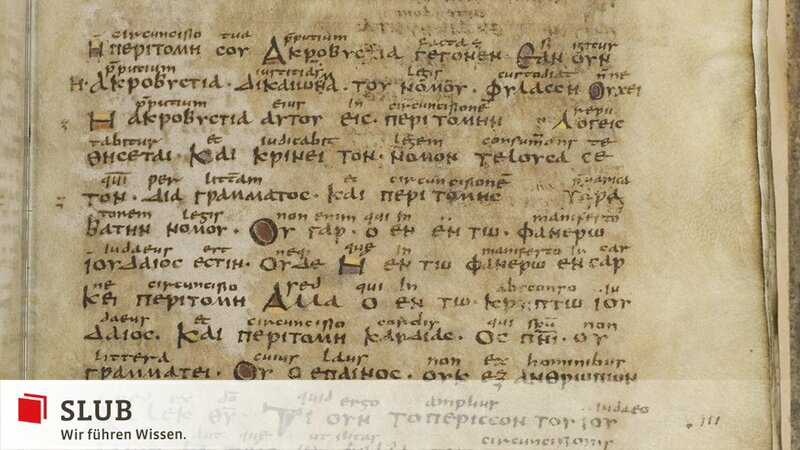 In any case, that 9th-c. St. Gallen MS. Greek alphabet is fascinating! Some really big, interesting questions nestled in “these texts of novelistic character were not understood as such by their audience” despite “the fictionality of these narratives” and “their resemblances to the late antique Greek novel”! How did Symeon unsderstand the ‘products’ of his “rewriting enterprise”? In how far is it a matter of ‘style’ (in however many senses or aspects), and/or of ‘content’?